It’s been a while since our last post here at The Odyssey Scoop, for which we apologize immensely! Time has a way of getting away from us, and 2018 is no exception. It’s been 99 days since our last blog post, and for that we’re blushing. We didn’t want the 100th day of our hiatus to happen, so we’re back and ready to roll. We’re getting ready to push the red button and keep the blog and website updated in the future. In fact, we’ve been taking care of a few things under the hood lately, such as getting 2017 and 2018 episode listings updated and added. 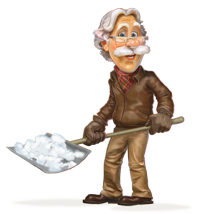 In addition, we’ve recently updated our useful Adventures in Odyssey Club feature, which gives you a glimpse of all the great features which come with Focus on the Family’s expanding membership. You’ll be seeing some other small updates to keep our Products section up-to-date, and maybe even some new things. We’re trying to shovel the sidewalks and get things cleared up as we move forward. 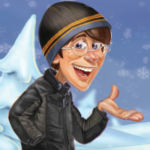 Also, a lot is happening with Adventures in Odyssey and we haven’t given up. After 17 years here at The Odyssey Scoop, the fun is just getting started! Thank you to all our followers for checking in with us and for checking back! Stay tuned in the days ahead as we ramp up to the latest AIO news and updates! New Site Look, Same Great Content!